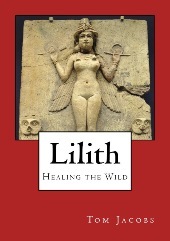 Lilith: Healing the Wild tells the complete story of my research into and work with this misunderstood and maligned archetype. The Lilith Intensive takes the material in the book further and deeper in 7 hours of MP3s. Four chapters of my book Living Myth: Exploring Archetypal Journeys are dedicated to how we live the stories of Lilith in our lives, and I even wrote a natal report all about the True Black Moon, which will be available later in 2016 here. You can check out the blogging I’ve done on Lilith, as well.